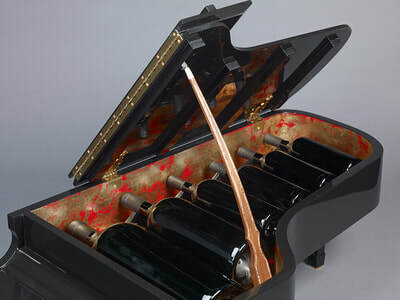 This case is designed to hold a "piano" of wine which is a 6 liter, 3 liter, 1.5 liter and 750 milliliter of wine bottles. 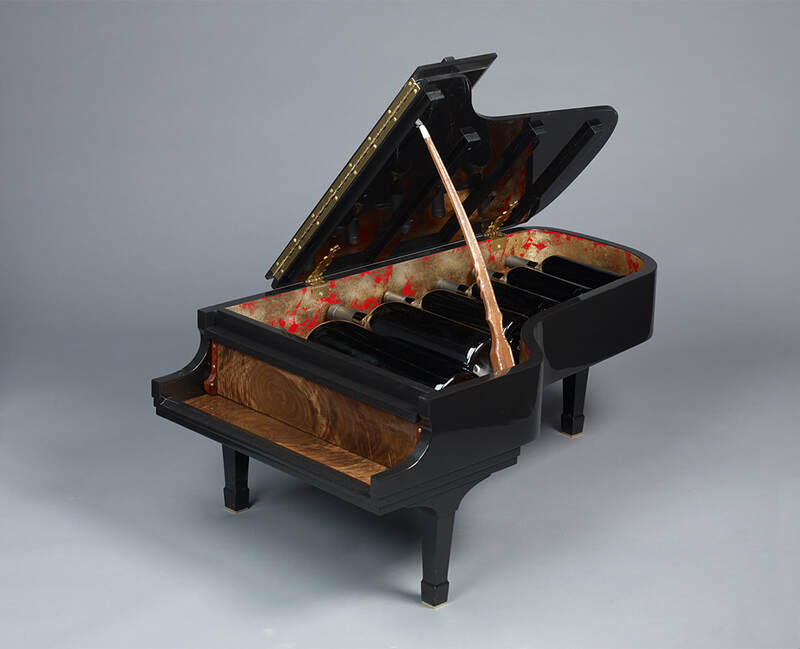 A Steinway Model D, their largest concert piano, was chosen as the inspiration for the case. Its shape allowed for two more 750 milliliter bottles. 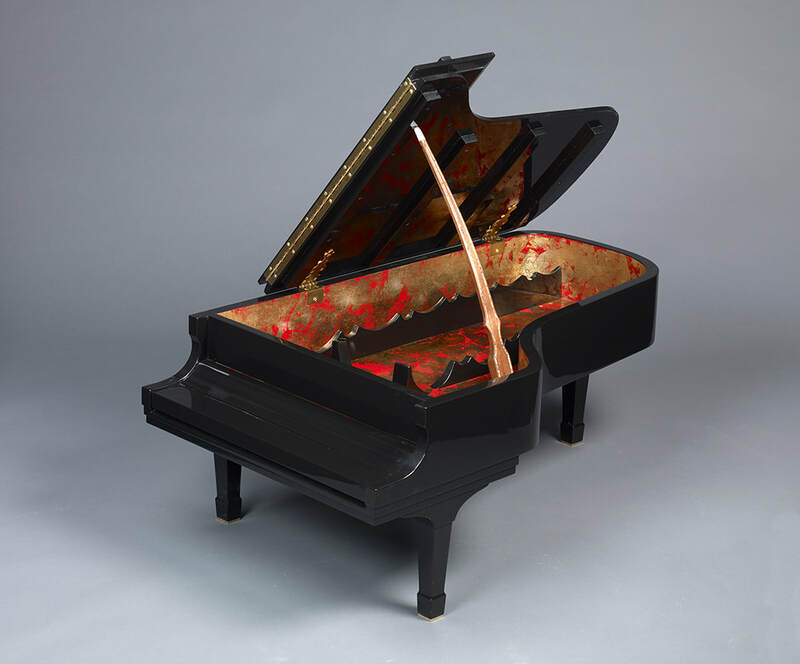 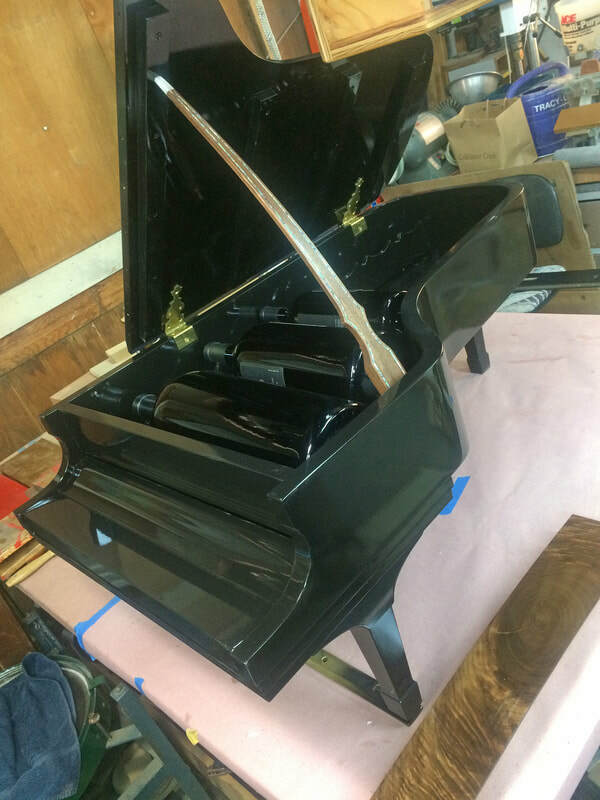 The exterior of the case is black lacquer, hand rubbed, in the Steinway tradition. The inside "walls" and floor of the case are silver leaf over Japan red paint with a chemical patination process that produce the gold hue. The curved Black Walnut arm which holds the lid is inlaid with Paua Abalone shell and tipped with a polished Travertine stone. 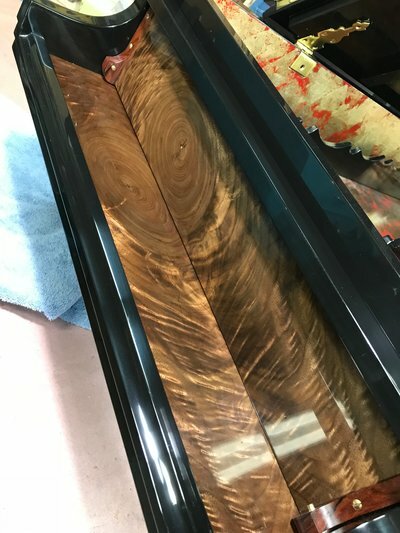 Below the keyboard lid is a bookmatched piece of black walnut. The case is approximately 4' long x 2' wide and ~3' high with the lid open. 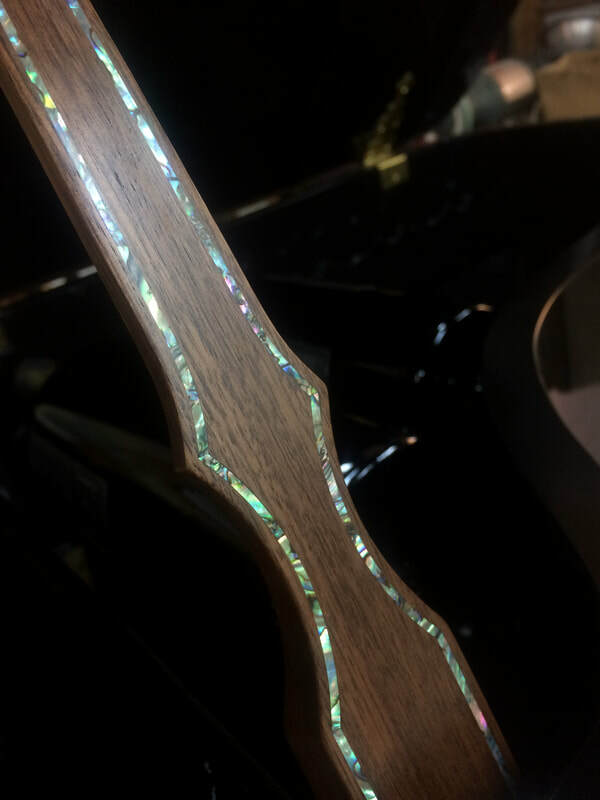 This piece was chosen to be displayed at the "Artistry in Wood" exhibit held at the Museums of Sonoma in Santa Rosa 2018-2019.